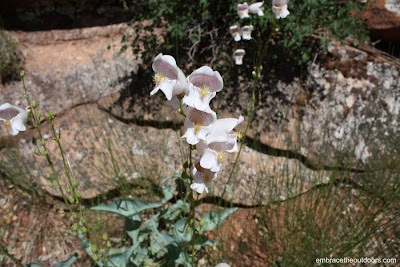 Hidden Canyon trail is a moderate 3 mile roundtrip hike that climbs 850'. Take the park shuttle to the Weeping Rock stop. The trailhead is to the right. There is another trailhead to the left that takes you to Weeping Rock. Most of the trail is exposed, with very few shaded areas. We noticed the trail climbing early on. 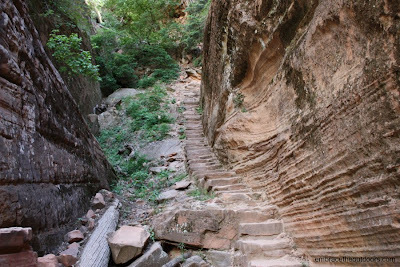 The footing on this hike was difficult in some places as part of it takes you onto slickrock and cliff edges but in some areas chains provided handholds. 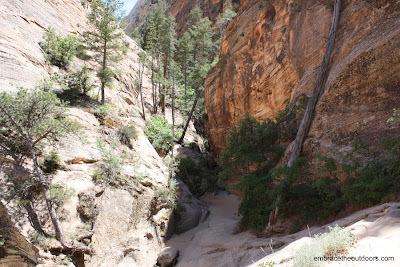 Halfway through the hike we came across the opening to hidden canyon and a shaded area. We explored a little further on as the canyon narrowed, then turned around and took a break in the shade. The cliff edges were good practice for Angels Landing. 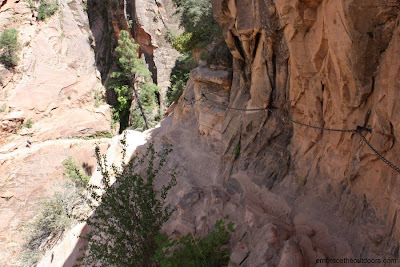 Don't do this hike if you are afraid of heights.